Come enjoy an evening of unlimited fine wine tasting of 50 different wines from around the world provided by the Wine Gallery. Also, enjoy sampling various local micro-brewed craft beers from local breweries. There will be appetizers, and a silent auction with exciting items to bid on. Additionally, we will feature a "Wine Cork Pull" where you can take home a nice bottle of wine randomly selected for a small donation or perhaps even a very expensive bottle of wine for the same small donation! Event Tickets may be purchased below for $30 in advance or $40 at the door for a single ticket or in a pack of 4 tickets for $100, a $20 savings off the single ticket price! "Instant Wine Cellar Raffle" Tickets are not permitted to be sold online according to Montana state law. If you would like to purchase "Instant Wine Cellar" raffle tickets ($10/ea or $100/dozen) for a chance to win: 1st Prize: 60+ bottles of wine, 2nd Prize: a year of beer, or 3rd Prize: a year of chocolate, please contact a Bozeman Noon Rotary Club member directly or purchase the night of the event. Public is invited and welcome. Must be 21 years old participate in the wine and beer tasting. 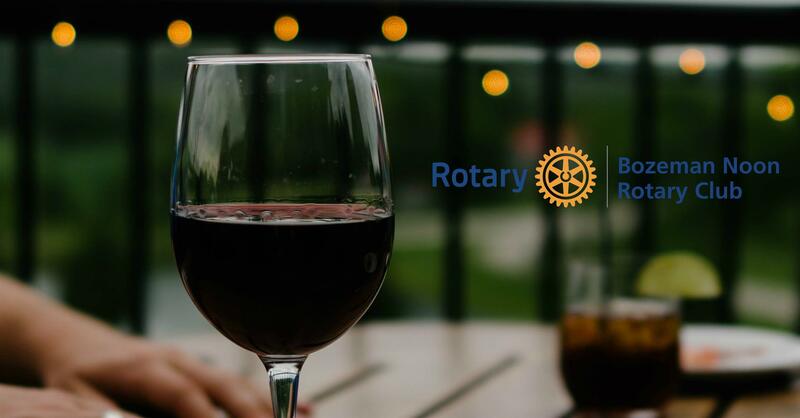 Proceeds for the 2019 wine and beer tasting fundraiser will benefit multiple local youth projects of the Bozeman Noon Rotary Club. These projects include the 3rd Grade Dictionary project, Rotary Youth Leadership Awards (RYLA) program, Rotary Youth Exchange (RYE) program, Student of the Month Scholarship program, Middle-School Kids at Risk Benefit Program, Imagination Library, and BACF Youth Giving Project.